Oh Daisy. I have been a lover of this fragrance by Marc Jacobs since I was first gifted it by my mother in high school. There was always something about wearing this scent... I instantly felt elegant and confident after a spritz of Daisy. Still today as an adult I am in love with the sophisticated scent. 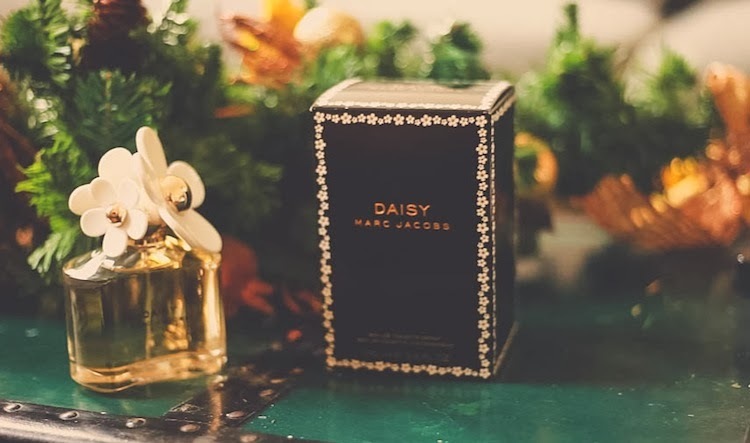 As the holidays quickly approach, Marc Jacobs Daisy is certainly on my gift-giving list. Anyway, hope you all are having a great holiday season. Only two more days until Christmas! It is a lovely fragrance! Have a wonderful holiday. My brother gifted one to me about 5 years ago and I've been in love with it since! What a cute video, beautiful scent! Super cute video. I've personally never owned this particular fragrance but it really does smell great based on samples I've had. I've always wanted to try it but never get a chance to! so cute video! happy holiday! i've always wanted to try this! that little video is super sweet too.